Tom O'Malley taught previously at the Universities of East London and the University of Glamorgan. He has published on broadcasting and press history and policy in the UK and in Wales. He is co-founder and co-editor of the journal Media History, and a member of the Media History Centre at the University of Aberystwyth. He is an Honorary Associate of the Centre For Media History, Division of Humanities, Macquarie University, New South Wales, Australia. He is on the Editorial Board of Palgrave Studies in the History of the Media. He has submitted evidence on media policy to the UK and Welsh Governments. He is a member of the National Council of the Campaign For Press and Broadcasting Freedom. 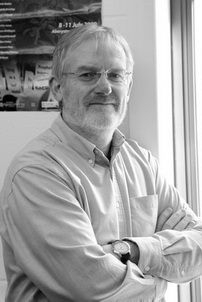 Tom O'Malley's current and ongoing research interests are in the areas of media history in the UK; media policy in the UK; history of ideas about the media; media in Wales. He has supervised PhDs in international media, broadcasting history and contemporary television studies. ‘History, Historians and the Writing of Print and Newspaper History in the UK, c.1945-1962’O'Malley, T., 2012 , In : Media History.18, 3-4, p. 289-310 22 p.